However, there will be one or possibly two that you feel like you have a constant battle with. With me, currently it is ants. 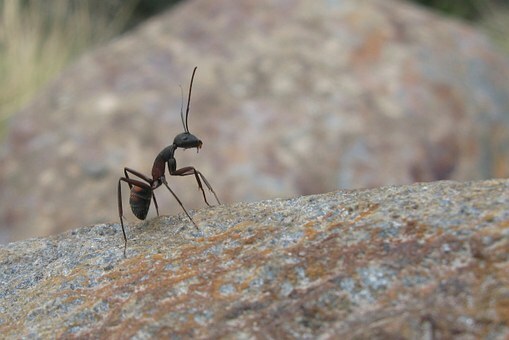 I have had a history of battling with ants in a few countries. They destroyed my lawn in Dubai with their digging. At one point, I put the hose on the lawn to chase a few ants away and huge sections collapsed. We ended up paving over the lawn in the constant battle of ant versus human. In Aruba they took over the paved garden and would try to set up home in anything that we laid down. The day I picked up a dog blanket to reveal a nest of ants witnessed louds screams, cursing and boiling water. Our current house in St Lucia seems to have an ant problem which is slowly driving me crazy. They come from different angles and just when I think I have won and made our house an ant free zone they attack from another area. My housekeeper tells me tales of the previous tenants leaving dirty plates and cooking equipment out for a while that attracted ants and it seems this might be the source of the problem. However, I keep my kitchen as clean as a surgeon’s operating table. Why are the ants still coming in? Before you wonder why I have not dropped a chemical bomb on the house, I have animals and am vigilant about any potential harmful poison. I tried the natural oils route to no avail. So, it’s now a battle of attacking them with a cleaner when I see them approach. 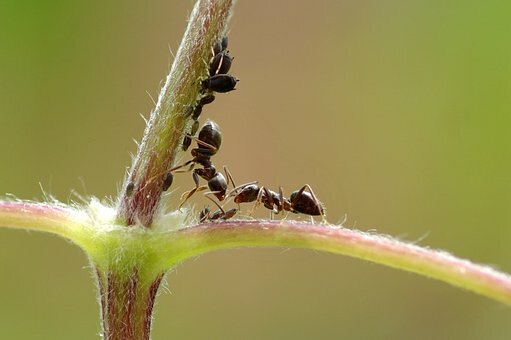 It seems that there are many varieties of ants too. I spend so much time in battle with them I am now on their Christmas card list. There are tiny black ones, ones that almost look like clear spiders and a chunky variety that seem to be the search and report back to base type. My biggest peeve is that I make a living as a food blogger. Making food videos and food photography is essential for me. Every time, and I mean EVERY time I set up a food video or shoot, ants will suddenly appear! There are probably a few food recipe videos of mine out there with an ant in a non-speaking role strolling across my set. Luckily I edit all the swearing out. The ants in the tropics will appear from anywhere too. It’s a constant assault which may break the tired and weary. I’ve seen them swarm out of electrical plug sockets and cracks out of tiles I didn’t know was possible. Most people in the islands will have a creepy crawly story. One of our friends who was travelling the Caribbean was in Jamaica, packed up his suitcase and popped in a couple of the hotel pillow chocolates. When he arrived at his next island, he opened his suitcase and ants swarmed out. After listening to this tale, screaming and drinking a large rum I could finally relax and sleep. How he still sleeps at night is still a mystery to me. If anyone has a good natural suggestion to get rid of the ants, please let me know. Until then, I am cleaning my kitchen area with such rigour that hospital cleaning staff are trying to recruit me. Hi – Have you tried marking a line around doors, windows or other places where they might come in with a piece of chalk? Apparently, ants won’t cross a chalk line. Sounds weird but worth a try? 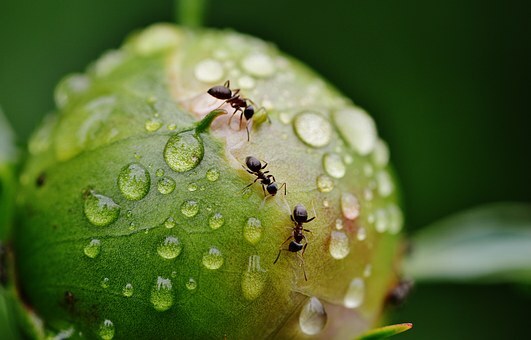 Really enjoy your recipes – haven’t noticed any ants in your photographs! Oooh, that’s a good tip! Thanks! I need to lay down in a darkened room with a large rum punch now at your tales of large creepy crawlies!